« DNA DAY 2010: What, me worry about my DNA? However, there’s no shortage of conflicting reports about the efficacy of mammograms to reduce the incidence of invasive breast cancer in women. Late in 2009, the U.S. Preventative Services Task Force (USPSTF) published controversial recommendations for breast cancer screening in the Annals of Internal Medicine. The recommendations included biennial mammograms for women aged 50-74 years, but not for women aged 40-49, who should instead discuss a variety of risk factors with their clinician before deciding on a mammogram. The USPSTF recommendations were based on numerous studies which reported that mammographic screening in this age group did not reduce mortality from breast cancer. So, why the controversy about the screening efficacy of mammograms in women in the 40-49 age group? Two-words: breast density. Breast tissue is composed of connective tissue (dense), and fatty tissue (non-dense). Women with dense breasts have a higher ratio of connective tissue to fatty tissue. Mammograms can miss tumors, particularly in younger women or women with dense breasts, because on a mammogram, fatty tissue appears as a dark area, while connective tissue appears white. 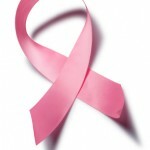 Breast tumors are also dense, and thus appear white on a mammogram. Tumor detection in the presence of dense tissue is a difficult one, and usually requires follow-up ultrasound to rule out a tumor. In the past many studies were conducted using results from traditional mammograms (where the image is on x-ray film), which rendered the evaluation of breast tissue in dense breasts difficult and subject to high false-positive and false-negative rates. The newer and more advanced digital mammography uses less radiation and produces computerized images which can be enhanced for better analysis. 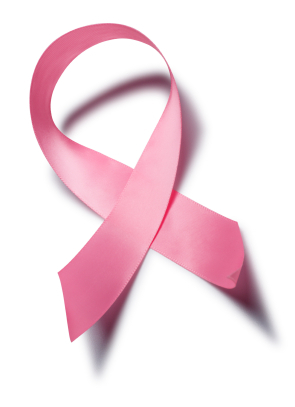 Abnormal areas in breast tissue can be magnified and compared to previous digital mammograms. Recent studies find that digital mammography leads to increased cancer detection rates, especially when performed in conjunction with an ultrasound in women with dense breasts, regardless of age. As traditional mammograms are phased out, future mammographic studies will include more cohorts of women evaluated with digital mammography. This may decrease the number of conflicting studies and direct breast screening guidelines in the right direction. Print article This entry was posted by rios on April 29, 2010 at 9:42 pm, and is filed under Inside Cancer. Follow any responses to this post through RSS 2.0. You can skip to the end and leave a response. Pinging is currently not allowed.